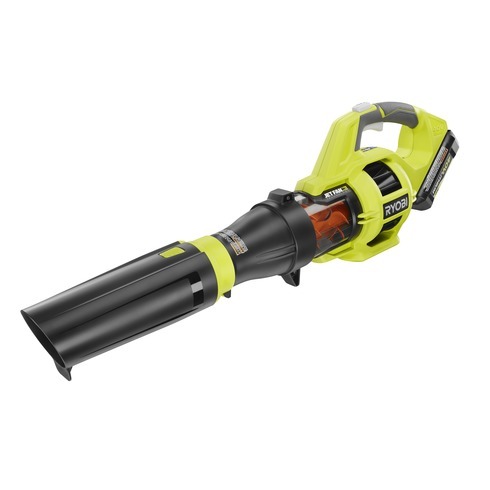 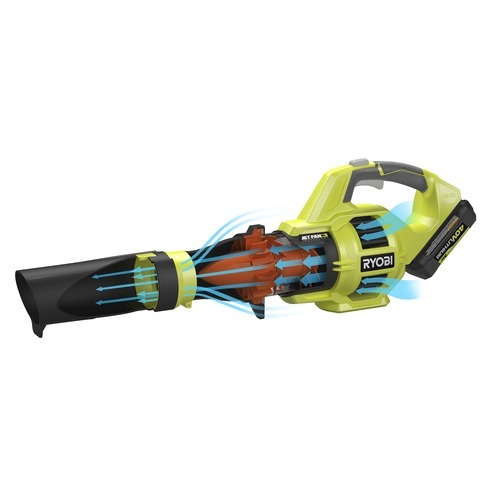 RYOBI introduces the new and improved 40V Lithium Cordless Jet Fan Blower. 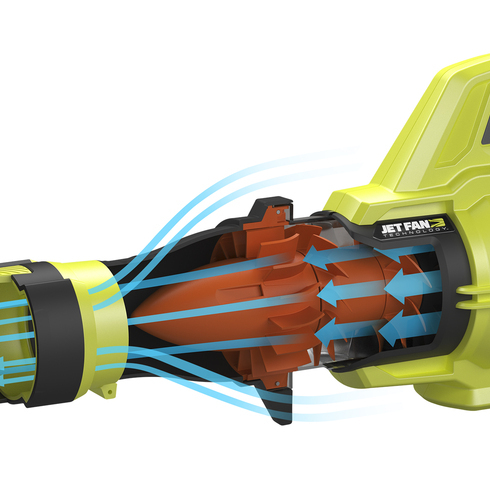 Featuring the Gas-Like Power, this jet fan blower gives users the gas performance with cordless convenience. 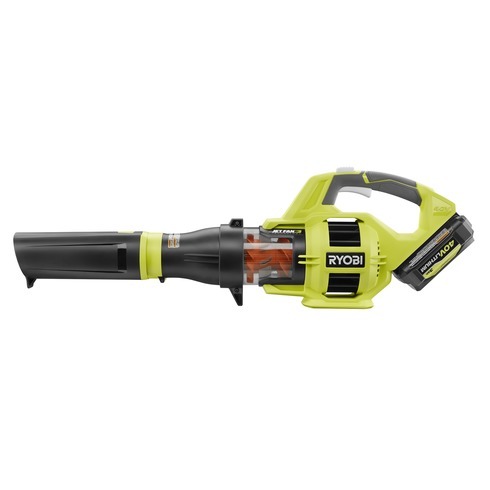 The RYOBI 40V Lithium Cordless Jet Fan Blower is also loaded with a Turbo button for maximum power switch and a 2-stage jet fan design to increase the air flow. 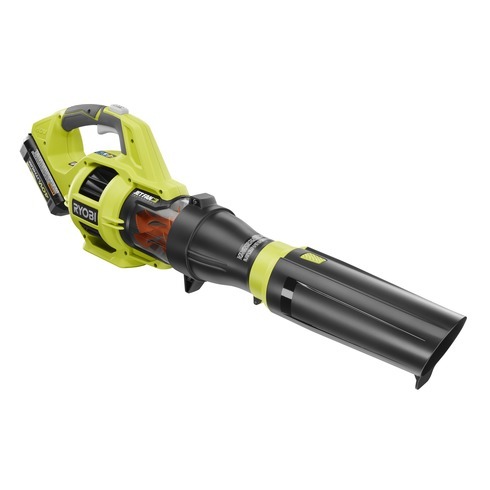 With 480 CFM and 110 MPH of power and the overall sleek design of the soft grip handle, the RYOBI 40V Lithium Cordless Jet Fan Blower will tackle any clearing job with ease. 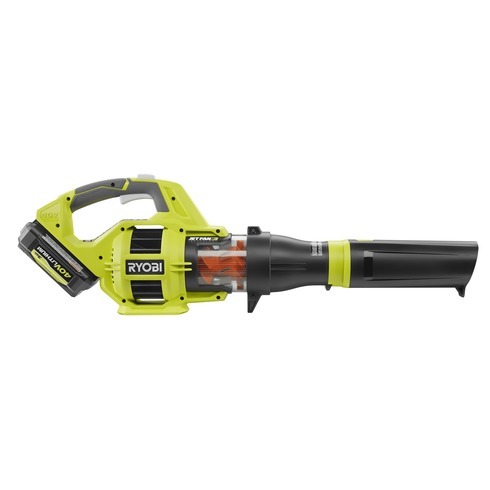 As part of the 40V family system, this jet fan blower works with all RYOBI 40V tools, batteries and chargers.